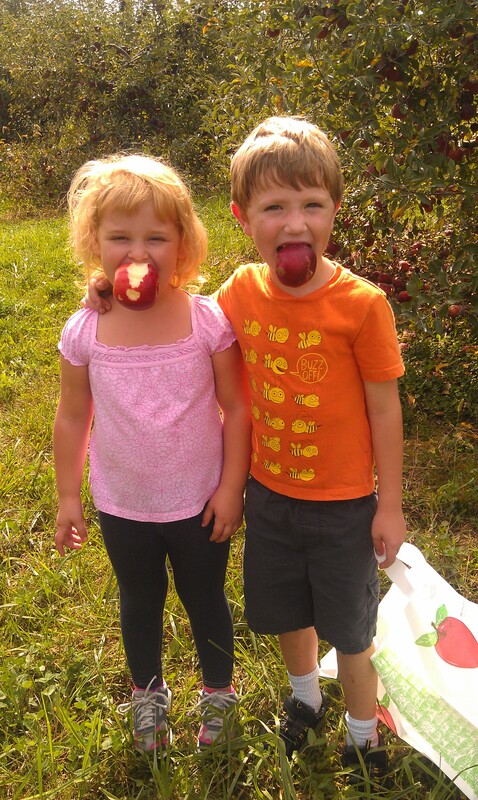 For the last two years my friend Jennifer has invited us to apple pick with her family at Fruit-Full Acres in Marysville, OH. The girls and I love it here the owners Beckie and Thomas Congrove are always so helpful and so kid friendly. 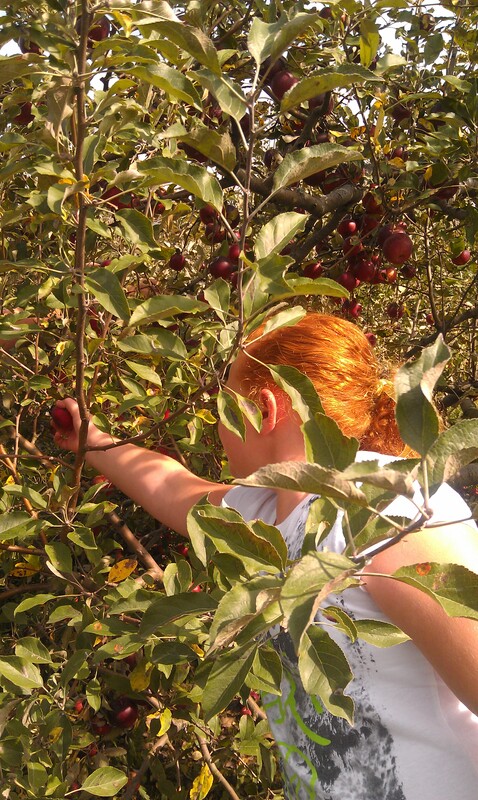 Their trees are pruned as such that little hands can pick the apples easily, this is why Jen always goes here not to mention the apples are the best! They encourage you to try the apples just make sure you dispose of them properly in buckets they have at the end of every row of trees to keep down the bees! 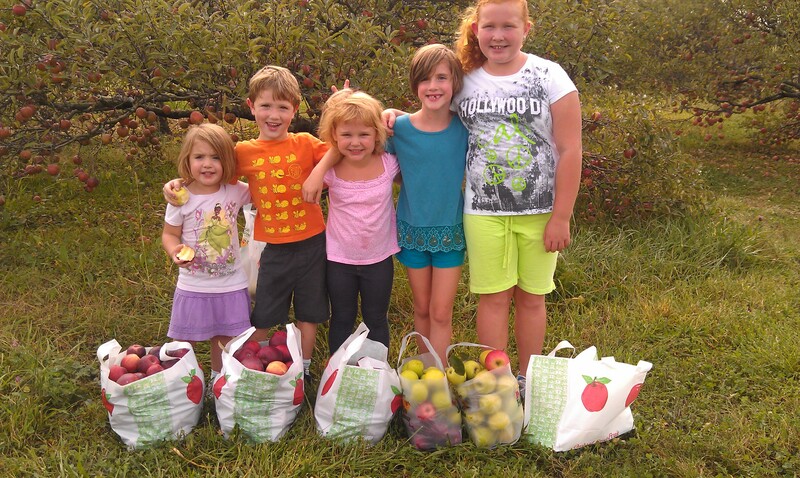 While our littlest pickers enjoyed that part WAY too much our oldest girls were helping the Moms find just the right ones to make all things apple when we got home! 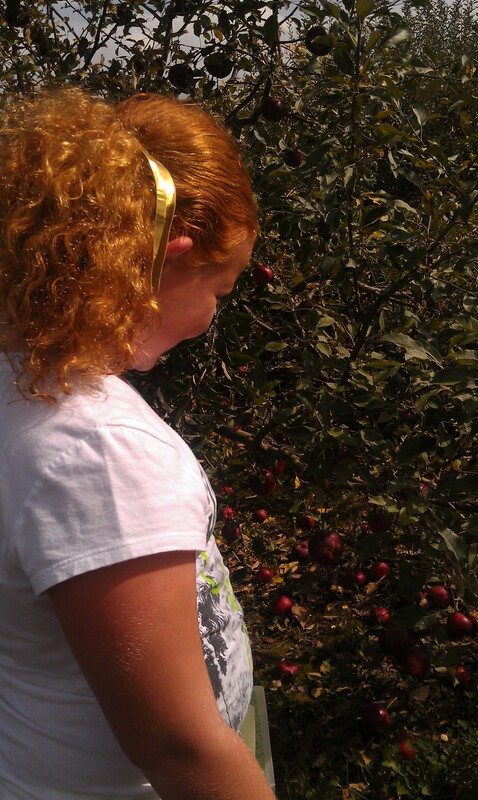 Pyper had plans BIG apple plans she loves to cook and bake so this was pretty cool for her to get her own ingredients. What a lucky boy with all those girls around LOL! 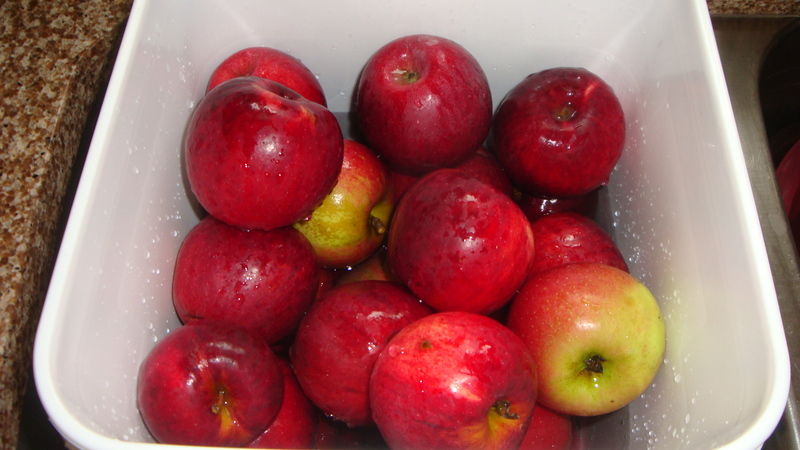 SO off we went home first up would be apple pie filling YUM! 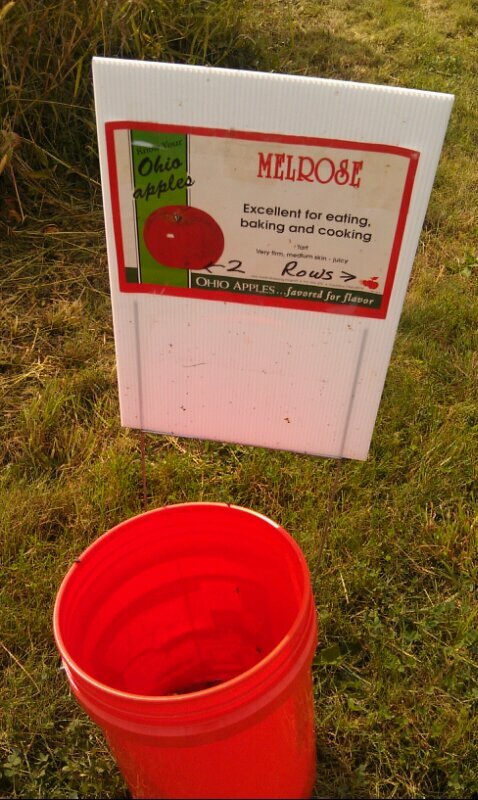 We took buckets in the car and transferred our bushel bags into them so they wouldn’t bounce all over the car. Easier to clean too! then started the process I looked at over 30 recipes all different so I decided to take from each and do my own….. 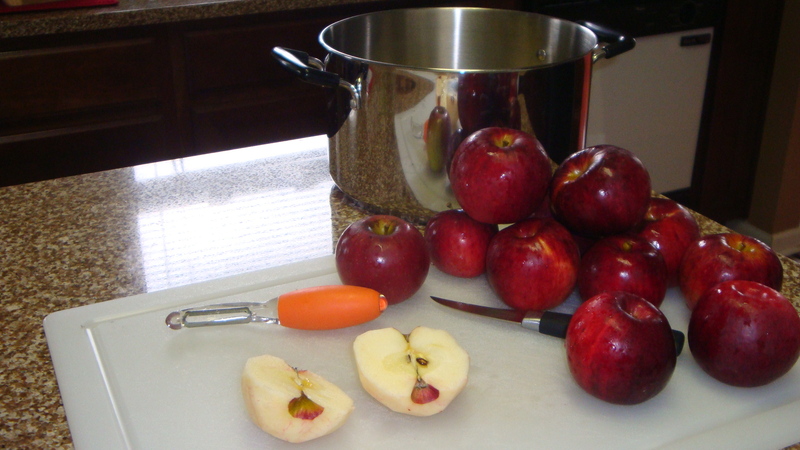 I did not boil them half the recipes showed to boil half didn’t I like simple so I DID NOT boil the apples. 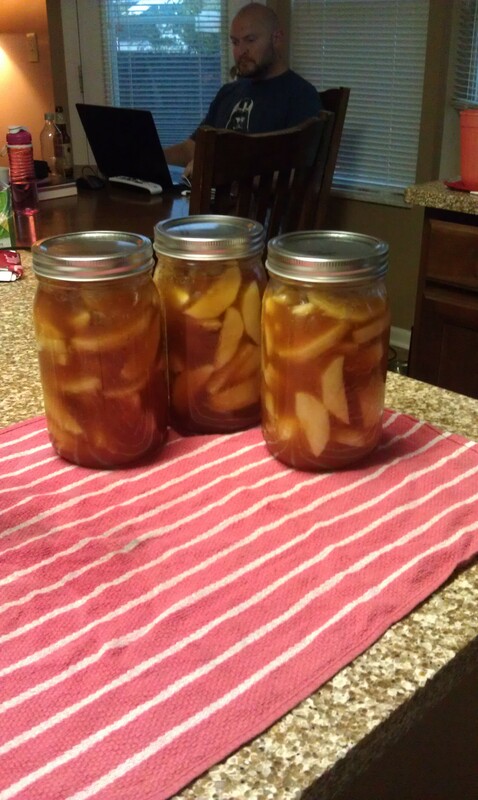 9½ cups water; 4½ cups sugar; 1 cup cornstarch (most call for Clear Jel I admit they were out at the store so I had to do the starch I hear Clear Jel is a lot better! 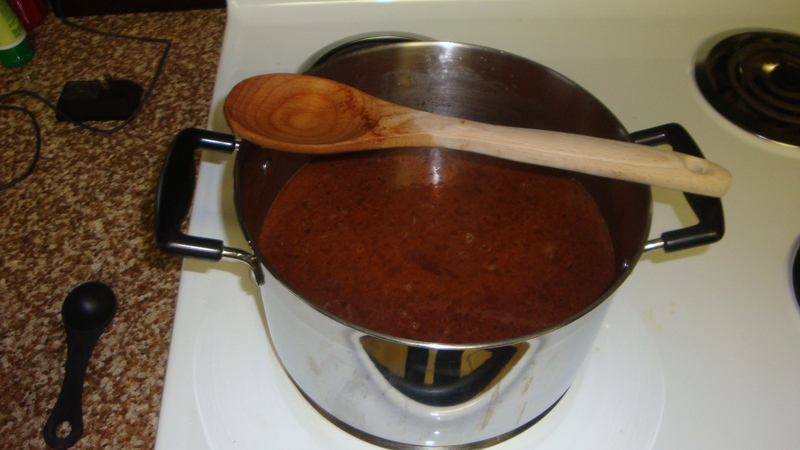 ); 1 teaspoon salt; 1 1/2 tablespoon ground cinnamon; ¼ teaspoon ground nutmeg; 3 tablespoons lemon juice and here is what NO one had and I understand its because we added most on the spices individually but I added MORE …. I love it it’s right next to the pumpkin pie spice and I had to try it….later I looked on Pinterest and saw where you can make your own and I will this year! Once it has thickened you pour the mixture into the jars to the top if you have a funnel that will make it easier and less messy then place the lids on….make sure the sides are clear of any of the mixture or they may not seal correctly. 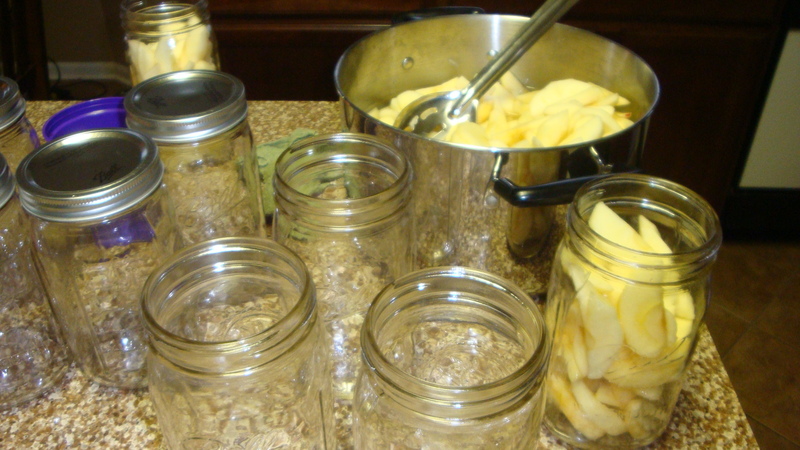 Since I do not have a canner, I simply get the largest pot I own and fill with water making sure at least two inches of the jars are immersed. Bring to boil for at least 20-30 minutes you may or may not hear the tops pop. Once the time is over wipe the jars clean they will be hot! place on a towel overnight you may hear the popping once they start to cool down. Leave over night to cool down properly and if they “popped” you can store up to a year in a cool dry spot. 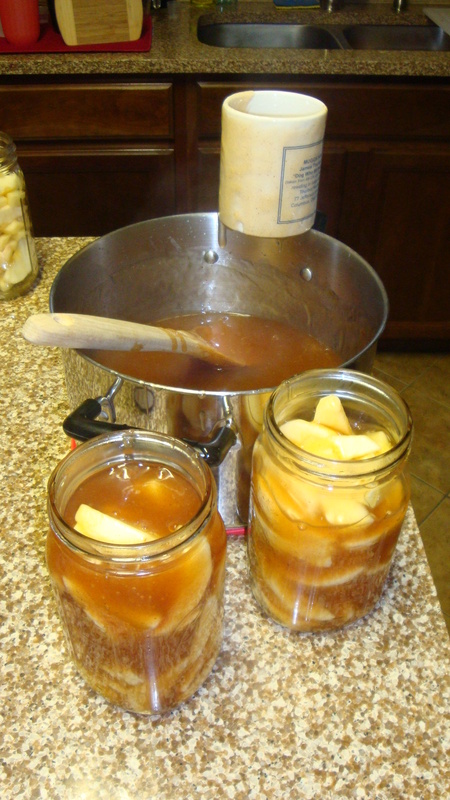 Next we made Apple Butter and Apple Sauce (more on that in the next post) ….. this years apple recipes turned out amazing! I was so happy with the result we are currently down to 4 apple pie fillings from this first batch we ended up making about 14 jars, gave some away and ate some too! 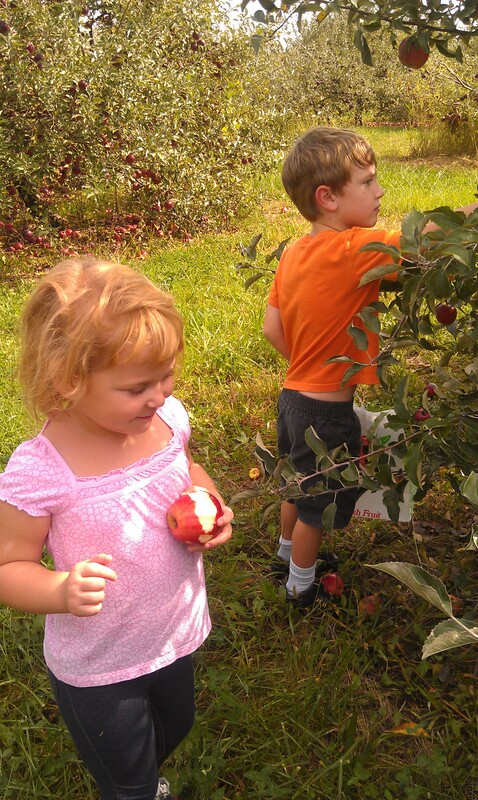 This entry was posted in Family Fun, My girls, Recipes - I'll show you mine if you show me yours and tagged apple picking, apple pie filling, apples, family, farm, fruit-full acres, kids, marysville, ohio, orchard, recipe. Bookmark the permalink.